The Imraguen or Imeraguen (Berber: Imragen) are an ethnic group in Mauritania. Imeraguens are believed to have descended from the Bafour people. 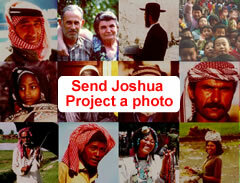 The name is a Berber word meaning "fishermen." 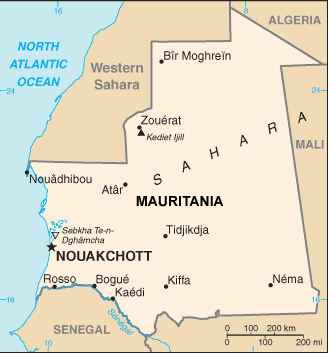 Mauritania is one of the poorest countries in the world. The main exports of Mauritania are fish, iron ore, and recently offshore oil. Corruption is still a significant factor in the Mauritanian economy at all levels. AIDS and slavery is allegedly still a factor, especially in the interior. Militarily powerless, the Imeraguen people were traditionally reduced to the degrading lower-caste status, forcibly ruled and taxed by more powerful Berber tribes. Imeraguen people are only located in Mauritania. Most members of the group live in fishing villages in the Banc d'Arguin National Park, located on the Atlantic coast of Mauritania. They speak Hassaniya Arabic with some Berber vocabulary related to fishing. Imeraguens are 100 percent Muslims of the Sunni Maliki rite. Although audio resources (GRN), and the JESUS Film are available in their heart language, Hassaniya Arabic, we know of no followers of Christ among them. They require help to establish and maintain schools, medical clinics, drinking water, and sanitation facilities. The most pressing need of the Imeraguen people of Mauritania is to understand the truth of the loving God, who has made provision for them to become His children through full payment of their sins. Who will pay the price to tell them? Is it you? * Health issues are serious and must be addressed. Pray for medical teams to help the Imeraguens and other peoples of Mauritania with this need. * Pray for broken intercessors who will kneel before heaven's throne for as long as it takes to see a vibrant and victorious Imeraguen church. https://fi.pinterest.com/pin/537898749214074908/View Imeraguen in all countries.